Buying Commercial Real Estate for Leasing in Florida | DeLoach, Hofstra & Cavonis, P.A. It may seem like a wise move to buy real estate as business space for commercial tenants. Each tenant would run his or her business, and you collect rental income from each one without getting bogged down in the details of the operations. However, the purchase and operation of commercial real estate is different from that of residential or personal business property—and if you don’t protect yourself, the investment can quickly turn sour. Whether you're purchasing commercial leasing space as an investment or buying a location for your business and renting the remaining space to tenants, there are a number of steps you should complete before making the final decision. When considering a commercial property purchase, it pays to lay the groundwork ahead of time. The first step is to create a separate business entity that is the legal owner of the property you choose. This protects your own personal holdings, and even your other business holdings, from liability if any lawsuits or actions are filed against your leased property. A careful understanding of the market is necessary for any investment, and the location of your commercial real estate is a big part of understanding market trends. A well-trafficked area is beneficial to shopping centers, while warehouses tend to be suited to locations off the beaten path. A long-disused building may seem like a bargain, but there's probably a reason nobody has scooped it up before now. Examine the building carefully for anything that will cost you now—such as water intrusion and structural defects—as well as in the future, like costs of expansion and installing security features. Your property must be zoned for the intended use and comply with environmental regulations. In addition, you'll have to consider the needs of potential tenants. An office space may have higher electricity considerations, while a restaurant may require its own loading dock. Each commercial space has requirements for building and development permits. Depending on the location, it can take a year or more before permits are issued. 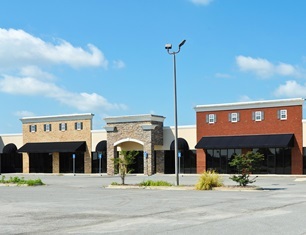 Before buying a commercial property, your attorney should contact local authorities to determine which approvals are required—such as planning, zoning, site plan, and so on—and the timeline of each. Once you choose a property, you need adequate insurance to protect it from all forms of loss. Commercial insurance should include property damage as well as liability insurance to protect you from being named in a lawsuit if someone is injured on the property. Whether this is your first commercial real estate purchase or your 50th, you should have strong insurance coverage to protect against business income loss. If one (or more) of your tenants defaults on the lease, you could lose thousands in rental income before you get a new tenant. The commercial lease agreement between you and each tenant is a legal document that can be challenged in the future, so the language should be as watertight as possible. Each party’s rights and obligations must be spelled out in the contract, as well as the description of the unit, allotted parking spaces, utilities, and services. If you don't want to perform your duties as landlord, you can hire a property management company to do it for you. However, these companies are expensive, so this can significantly offset the profit from your rentals. Your tenants’ needs may change over time, but it's important their leases prevent them from making unauthorized changes. All restrictions should be spelled out in the lease, including the use of the space, the ability to sublease, and laws applicable to the unit, such as alcohol and tobacco use. The lease should also clearly state the circumstances under which the tenant may be evicted and the lease terminated, such as nonpayment or illegal activities. If you're considering buying commercial leasing space, you should have a trusted real estate attorney by your side. Our legal team works to make the process as smooth as possible, resolving problems and advising you through each step of the transaction. Simply fill out the quick contact form on this page to set up a consultation.